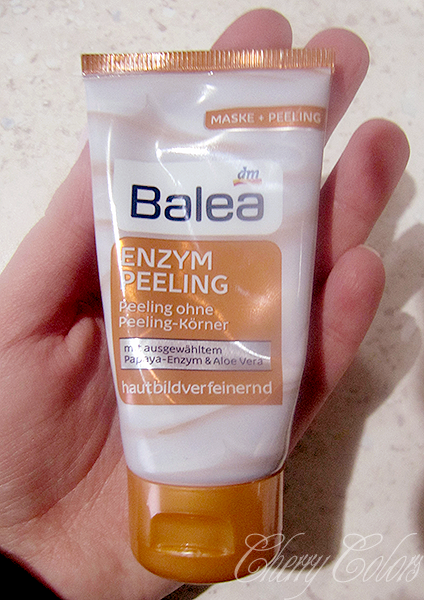 Review: Balea Enzym Peeling - Cherry Colors - Cosmetics Heaven! I bought this Balea product on a whim, a bit ago. 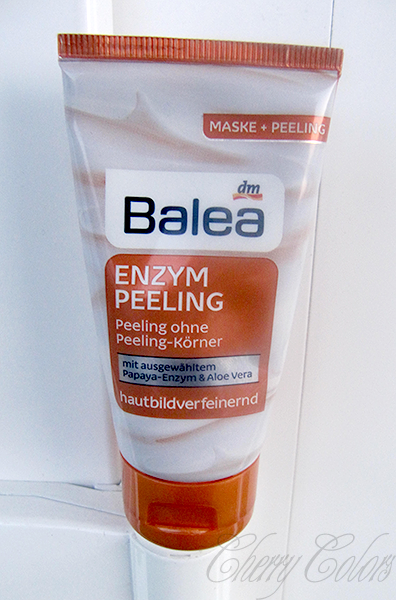 I loved my enzyme peeling, when I still used it, many many years ago (I think 7?). But it was very expensive and I refuse to pay such a price for a gentle enzyme peeling! Also, I completely forgot how awesome such peelings are... ahem. And since lately I've been much more into AHA and BHAs, I jumped when I saw this peeling in DM for just 2€. I mean, seriously?! If I got it right (someone correct me, if I am wrong since I am still very new to all this), this is a very mild AHA peeling (it contains fruit enzymes). It's used for removing the top layer of dead skin, but without the mechanical removal. It's a chemical peeling. But very very gentle. The instructions are simple - apply and wash off or use as a mask (for not longer than 5 minutes), rinse off. The packaging it comes in, is nothing too special. 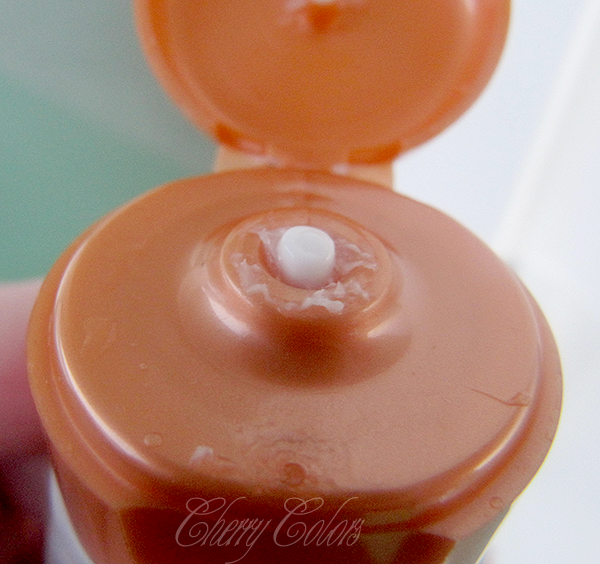 A small squeeze tube with a good working cap. But it works well and the tube has a filmsy/metallic feeling. It's pretty nice to be honest. 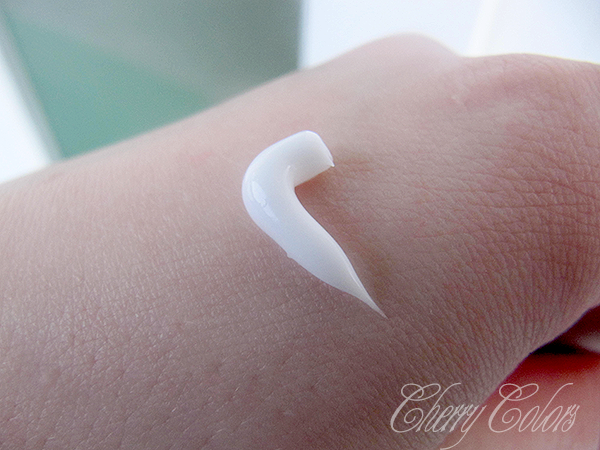 The peeling alone is this thick white cream that smells delicious. Damn great smelling thing. Fruity, but so fresh. Maybe a bit peachy? Anyway I love the scent and I can't believe that a peeling can smell this nice. I guess it smells this good alone, since there's no perfume in the product. The size is damn small, but it's not like you can or should use it daily. The recommended usage is 1-2/week. So this small (50ml) tube will last you a pretty long time. And now the part you've all been waiting for. To be honest I couldn't see any effect the first time I used it. I looked in the mirror and saw nothing. Then, half an hour later I stroked my face. And wow, it was feeling so *smooth* and *soft*. And since then I notice this effect whenever I use this mask and I love love love it! I don't know if such an effect is worth much to people, but I am a huge fan. It makes me feel good about myself. And my skin. - I wish it would say how strong it is on the packaging (like 2% etc). This little tub is a damn good product for the price range. I know you can get stronger peelings for much more money (Paula's Choice is the first I remember), but this one is so gentle that everyone should have it. It's a great alternative to the mechanical peelings (which do nothing for my skin), so it's especially great for aging skin as skin gets thinner with time.